The other day I needed to be able to study the SQL Server 2012 documentation, aka Books Online or BOL, to prepare for an exam while sitting on the train. So I was looking for the latest BOL download but that search wasn’t very successful. It took me a while to realize that what I was doing was no longer valid! Microsoft is no longer distributing the Books Online through the Downloads site! Well, not entirely true, read on for details. Because it took me some time to realize what was going on I decided to write a quick post on how to make the BOL 2012 available locally. Basically you’ve got two options. Let’s start with the first one. 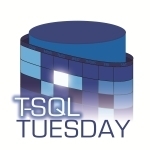 The first – newly-introduced in SQL Server 2012 – method uses something called Help Library Manager. This is a generic Microsoft product documentation management system, not exclusively for SQL Server. Here are the steps to follow to get the SQL Server 2012 docs installed locally. This method assumes that you’ve already got SQL Server 2012 installed and that your PC is connected to the internet. To start, click the Manage Help Settings link located in the Documentation & Community subgroup of your SQL Server 2012 start menu shortcut group. When you’ve selected all books you’re interested in, click the Update button. The Library Manager will now start downloading all the content you’ve requested. It turns out Microsoft took into account that not all computers are able to access the internet, which is a requirement for method 1. Microsoft does still have something available for download through the Download Center. However, when I came across the link I hadn’t realized that this was actually the BOL download. The reason that I didn’t realize this was because the stand-alone BOL download is now called Product Documentation for Microsoft SQL Server 2012 for firewall and proxy restricted environments. I thought this was documentation regarding firewall and other network-related issues but this is actually the full Books Online download!